Nestled away on Albion Street in the Jewellery Quarter, you might miss this little, unassuming building. I visited The George and Dragon Pub just two weeks ago for the first time, and what intrigued me, other than the building itself, was its literary connection to one of my favourite Birmingham-born authors, none other than Kathleen Dayus. Kathleen often frequented the pub when she lived in the area and the building became a setting in some of her popular books, which I highly recommend if you’ve never read Dayus’ work. 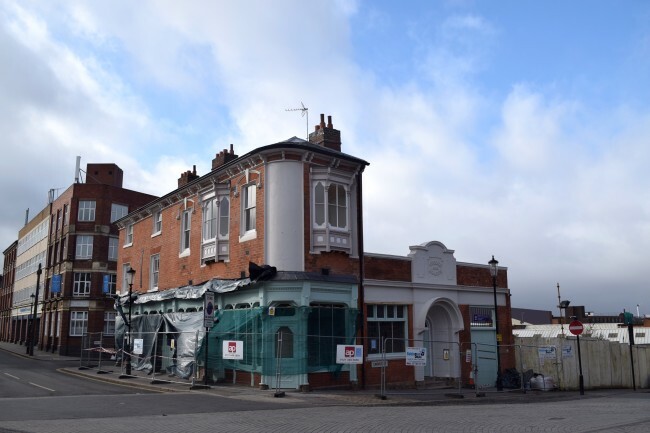 Dating back over 150 years, the Grade II-listed building is now set to be a restaurant with flats, and will take on a new history, and may well be the setting for further narratives, inspiring another generation. Thanks for the info, Keith. Hopefully the pub’s new legacy will be just as interesting. Kathleen Dayus is one of my favourite local authors and I was also really surprised to learn of the link. When the pub reopens, I’ll definitely make a visit there.